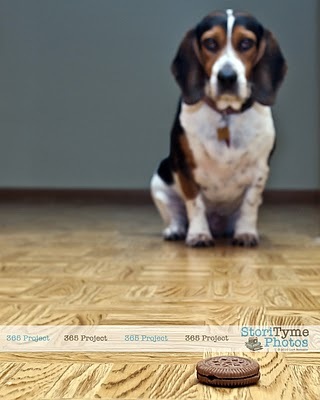 Our beloved beagle/basset, Electra, has been the topic of numerous blog posts this year. It really shouldn’t be a surprise. Not only is she adorable, with her perpetually mopey hound dog face, but she is also in the running for the Sweetest Dog On Earth award. I may be biased, but I think she’s got that one in the bag. She’s also a finalist in the Laziest, Most Food Obsessed, and Most Uncoordinated categories. All you pet lovers out there, be sure to head over to I Heart Faces this week to check out all of the other adorable entries. Awwwww Electra!!! I hope you both win! One of these days, you are going to have to get shots of my pooch and kids! Good luck!! It definitely speaks for itself. What a great shot. At first I was hoping the cookie was your pet…but I figure that pet wouldn’t last very long (at least in my house!) Your dog is such a picture perfect bassett! I love everything about this picture. Your dog is SO cute. What a sweet pet. Love the name. That definitely takes the cake… i mean, cookie! this made me smile! That is one GOOD dog. Great shot! Hands down one of the best. If you don’t place..no justice LOL!! ADORABLE! Awww what torture!!! Great pic! What a great idea for a picture! Beautiful focus!